You use this workbook along with our 6-hour audio program based on our E-book called, Endless Love, Romance & Passion: Secrets of Happy & Loving Couples™. via our exercises in the Doctors’ Manual Workbook. This Audio Program + Doctors’ Manual goes further to help you succeed. Result: You’re ready to achieve your own endless love, romance & passion!! Drs. Mary Ann & Michael Mercer are a unique husband-&-wife professional team. Most other relationship specialists work alone and, thus, have a one-sided point-of-view. Many of these experts who write books or conduct couple counseling have been divorced! Your huge advantage over other relationship specialists is we have a delightful, long-lasting love relationship. We live what we teach you. We also have decades of experience as doctors of psychology. We helped many couples heal their wounds, and start loving each other again. 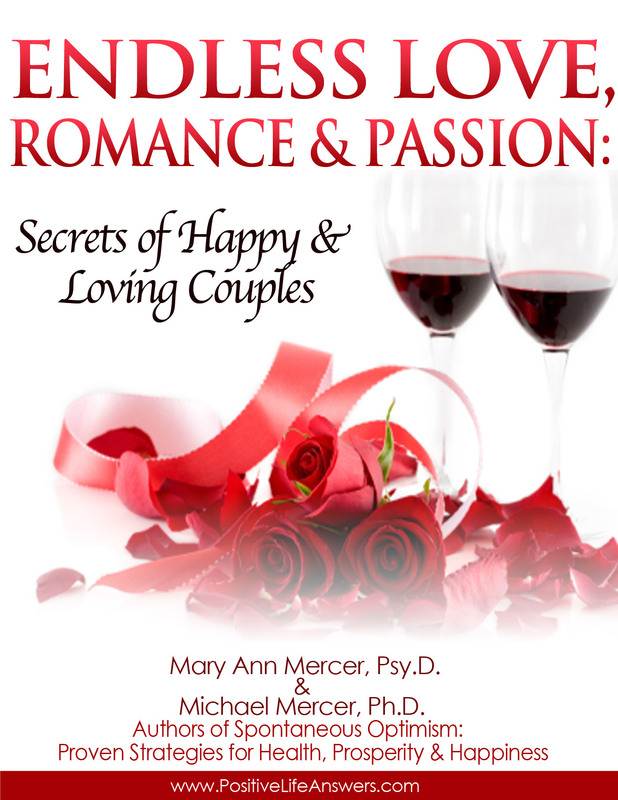 Endless Love, Romance & Passion tells you how to transform your relationship. This entry was posted in The Doctors Manual. Bookmark the permalink.